Yes we’re having a hoppy July here at the Parched Eagle and all you hop lovers are welcome to join us! In fact TODAY, Friday July 17th, we’re having the special release party for a brand new beer: UTOPIAN Imperial IPA! Clocking in at 107 IBUs and 9.7% ABV, this huge beer is a marriage of Maris Otter and Crystal malts, Demerara sugar, and waves and waves of Simcoe, Chinook, and Amarillo hops! 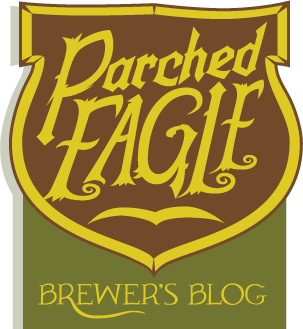 Hop Heads of the world unite at the Parched Eagle! The summer is a great time of year for crisp, refreshing, hoppy beers (and stronger/less crisp hoppy beers, too).